SpiralTrac™ | EnviroSeal Engineering Products Ltd. The SpiralTrac™ Environmental Controller is a unique, patented throat bushing specially engineered to transform and control the internal stuffing box environment in rotating process equipment. 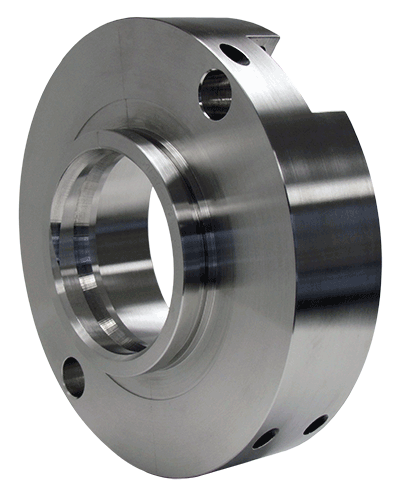 With unique versions designed to work with both mechanical seals and packing, SpiralTrac™ has set the standard in industrial process applications worldwide for increasing equipment reliability, decreasing housekeeping cost and reducing flush requirements. You've invested a lot of money in your sealing solutions. How do you protect your investment? SpiralTrac is made to order. Our engineering team designs hundreds of different SpiralTrac devices each year. Every application, every pump, every sealing solution requires a unique design to benefit from SpiralTracs ground breaking technology.